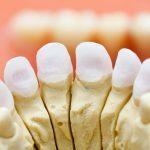 Home / Articles / Craze Lines on Teeth: What Are They and What Do You Do? We have all suffered from some form of tooth decay like a split tooth, tooth fractures, a damaged crown or even had to have more serious dental work like root canal treatment. However, have you ever taken a look at your smile in the mirror and noticed some faint vertical lines on your teeth? If so, then you might be wondering what those are. Though it may seem a bit odd, the official term for these nearly invisible cracks is craze lines. Craze lines are very shallow cracks in your enamel that are usually only surface deep. They’re actually very common and you may have some without even knowing it. 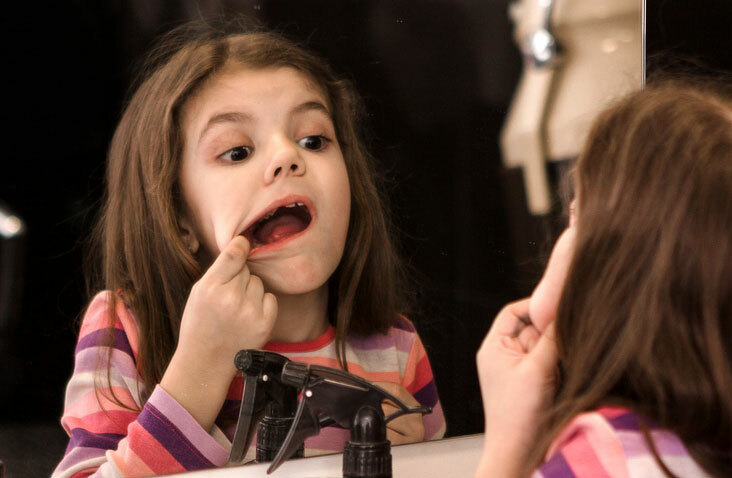 If you do not see any on your teeth upon 1st glance, try holding a flashlight behind your front teeth and looking in a mirror. This can illuminate craze lines if they are already there. While they are technically cracks, having craze lines is not the same thing as having a cracked tooth. Cracked teeth go much deeper and can cause symptoms like sensitivity and pain. Craze lines usually are asymptomatic. This blog post goes a bit more into the difference between the two situations. These lines can appear for multiple reasons. They can result from chewing on hard items such as ice cubes or candy, nail biting, or even trying to open bottles with your teeth. Just about any excessive pressure can start a craze line crack and continued stress can make it quickly spread up the length of the tooth. A common unconscious cause of craze lines is tooth grinding. A large portion of the population grinds their teeth at night and if you are not wearing protection, such as a night guard, this can quickly lead to not just superficial cracking but also deeper root and jaw pain. Craze lines can occur on any tooth in your mouth, although the ones on your front teeth are generally more noticeable than those that occur on your back teeth. These lines can also result from normal wear and tear as you age. Extreme temperature changes can also cause craze lines. This tends to be one of the more common natural causes because while most people know better than to try to open a bottle with their teeth or avoid chewing on hard objects, temperature changes while eating are fairly frequent. Sudden temperature changes can be problematic because cells generally expand and contract with changes in temperature. In a rigid structure, such as your tooth enamel, when this temperature change is gradual you will not notice any effect. However, when the temperature change is sudden, the structure can fracture and break. Think about when you drop an ice cube into a hot cup of coffee or even room temperature water. This is almost always accompanied by cracking sounds and visible fractures in the ice cube. This is why you never take a hot pan directly off the stove and immediately pour cold water into it because the rigid structure can crack or even break. With extreme temperature changes in your mouth, it is the same concept but on a less dramatic scale. Since the temperature difference in your mouth is only fluctuating by tens of degrees instead of almost 100 or more you get craze lines instead of a fully cracked tooth. If you have ever eaten a popsicle and immediately bit into a hot food item like pizza or a hot drink like coffee then this is enough of a temperature change to put your teeth at risk depending on how strong the enamel is. The opposite is also true so drinking a hot beverage and then switching over to something cold like ice can have the same effect. Even if you have never chewed on anything hot you have probably found yourself in one of these situations more times than you can count. Craze lines are generally only a cosmetic problem since they usually are not deep enough to cause cavities or decay. 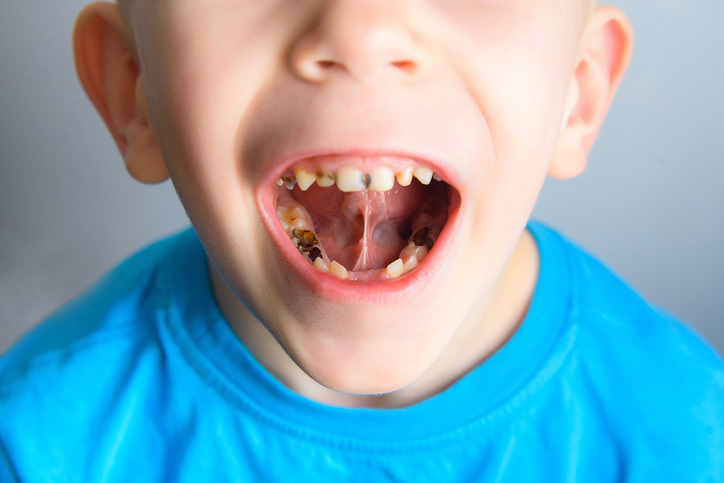 In extreme cases, they may deepen to the point to develop into cavities but the majority of craze lines remain very small and do not cause complications. While craze lines are usually too small to see without careful examination, the cosmetic issue develops when staining substances, such as tea or soda, get into the lines and cause staining below the surface of the enamel within the line. It is generally not possible to scrub this out through normal tooth brushing methods. Craze lines cannot be removed since they are cracks in your teeth. They can be managed much like cavities if they become too big. They can be filled in if they are wide and deep enough to accommodate some sort of filling material. Your teeth can also be bleached either with an at-home product or by your dentist if the at home product is not strong enough. Much like bleaching unstained teeth this is generally a temporary fix. If staining reoccurs after teeth with craze lines have been bleached, then dietary changes may be necessary to keep them from getting stained again. If neither of these is an appealing option for whatever reason, you can also consider getting veneers. Veneers are a porcelain covering that goes over your teeth to give the look of an entirely new surface and smile. In some cases, it may make more sense to get veneers instead of going with bleaching in order to protect the teeth from further damage. Each of these options can be discussed with your dentist in order to determine which course of action is best for you. 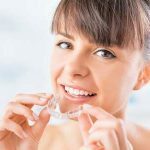 If you are concerned about the craze lines on your teeth being too visible, you should consult your dentist before trying anything drastic such as DIY methods that you may find on Internet forums. Home bleaching kits are fine to try as long as you do not have any other symptoms. The sensitivity that accompanies cracks may indicate a more serious problem that goes beyond cosmetics. Though your enamel and teeth may seem strong it can be easy to damage them. The last thing you want to do when treating a minor problem like craze lines is to cause lasting problems that are much more serious than the cosmetic unsightliness of stained teeth.